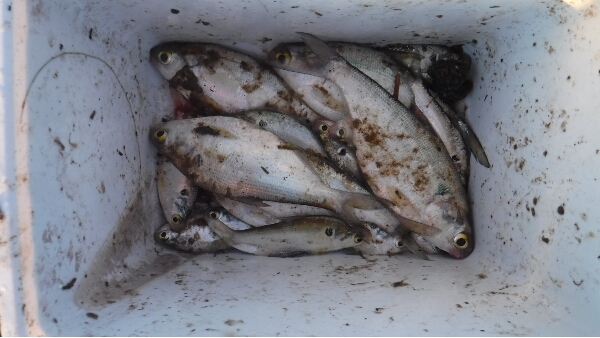 Got an early start at the lake and found more shad in the shallow water where I launch. I guess they are returning, since the flooded waters are going down. I threw my cast net six times, and it opened to a good circle five times. Got a few shad that were the size of small bluegills. Jigged a small tree in the creek for about two minutes, then noticed the limbs were moving on the other side. A large snake was in the tree with his head down near the water. I got out of there. I anchored up where I found some good structure on the fish finder. I caught a very nice bass with a senko. 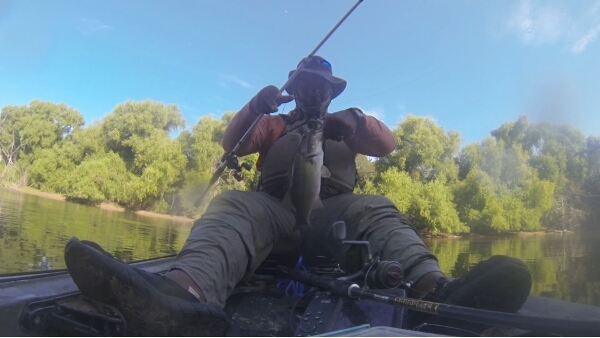 I caught a few mud cats, two channels, and not much else. I tried the cut shad and some dip baits. 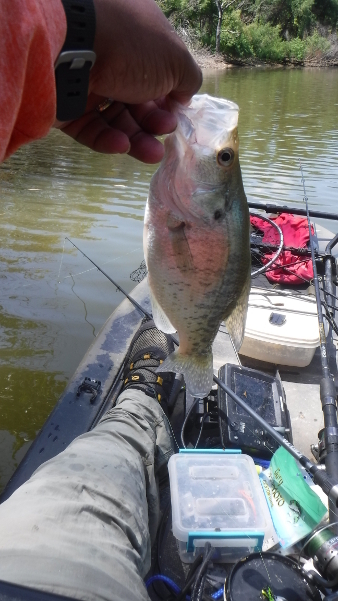 I did manage to catch a small crappie while tossing a road runner around. So, I decided to make one more cast before I left, and got a small bass sitting next to the shore. This one was caught on a road runner. 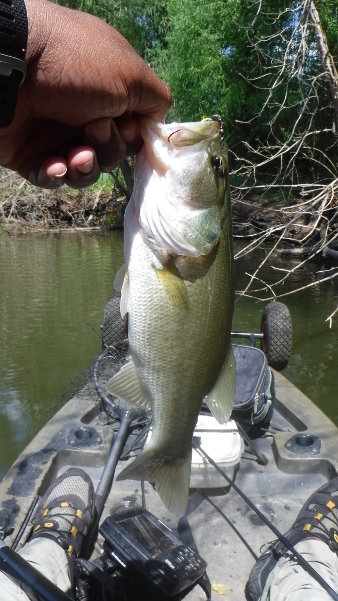 This entry was posted in Bass, Catfish, Crappie by joebeasley. Bookmark the permalink.